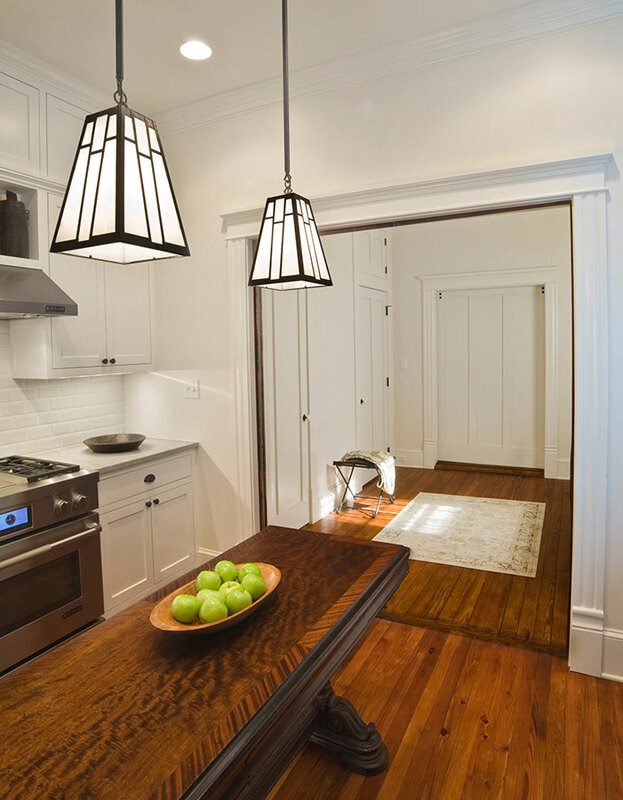 Our office was hired to assist with a renovation to a 1915 era craftsman home in Candler Park area of Atlanta. 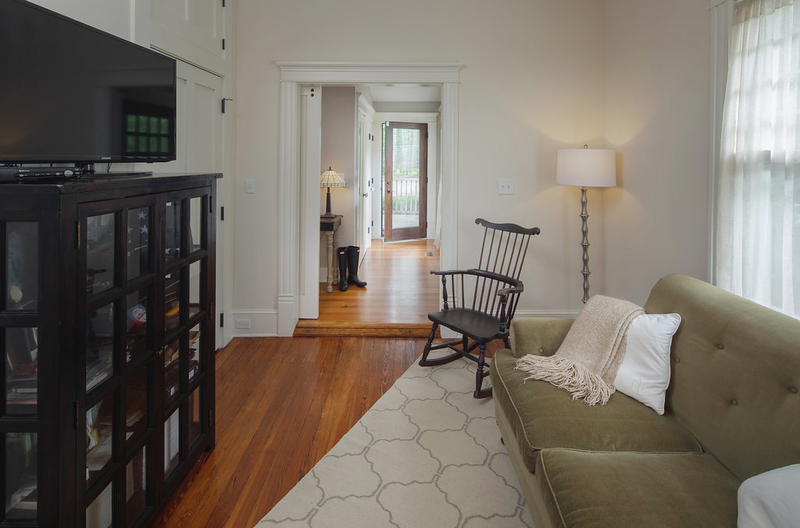 One of Atlanta’s first “suburb”, this historic district has has a variety of bungalows and classical revival homes. Our client initially asked for a traditionally inspired kitchen. 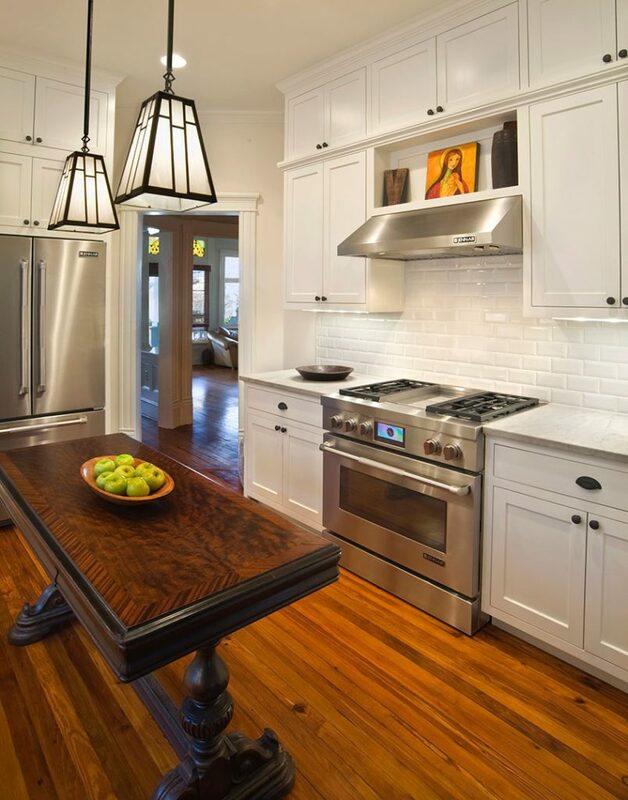 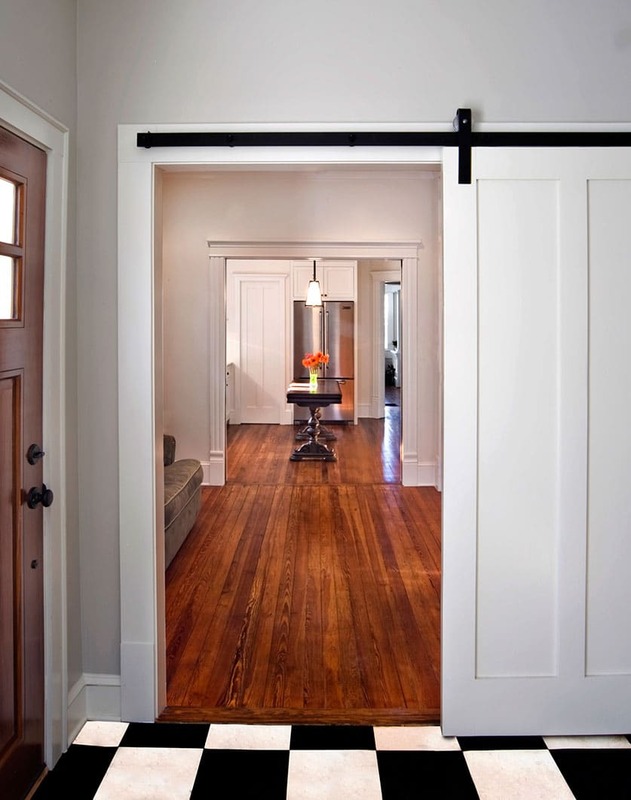 Our design retained the timeless charm of the craftsman home in this painstaking renovation project. 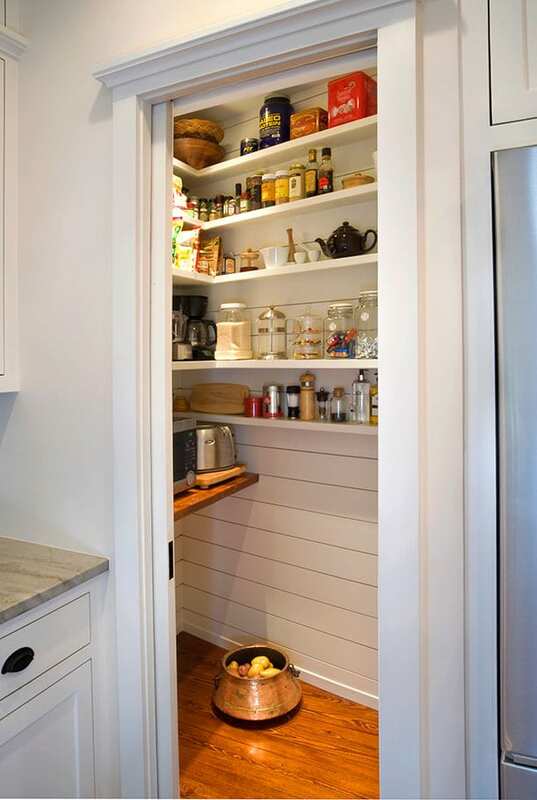 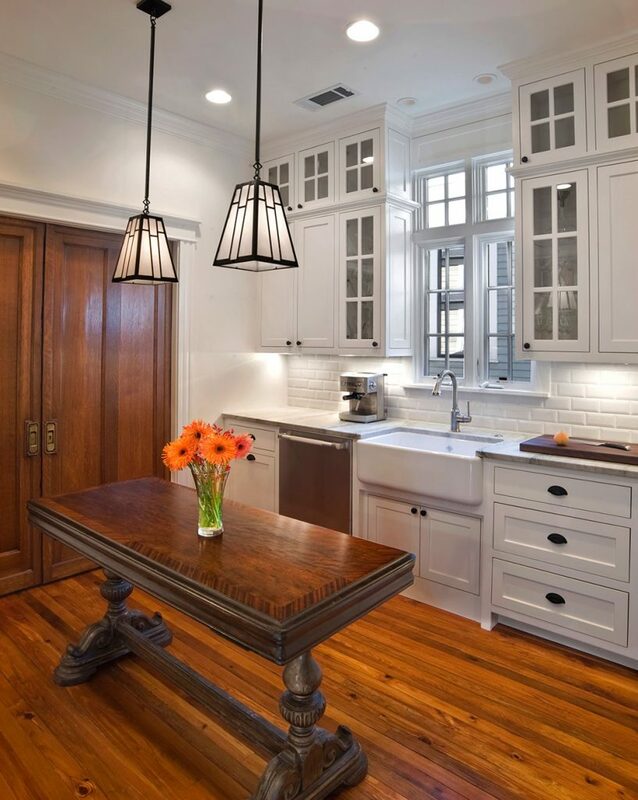 Inset cabinets, combined with reclaimed wood flooring in the pantry, echo the history of this house. 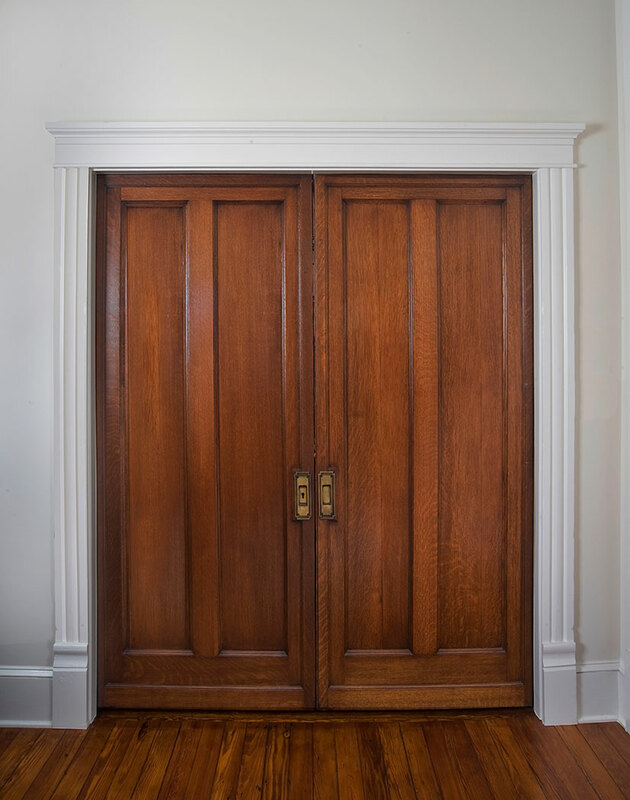 Solid wood pocket doors were purchased from an antique market, restored and reinstalled, creating a new family room space off the kitchen. Existing interior door and window trim was used as the model for new interior trims, thereby matching old and new seamlessly. 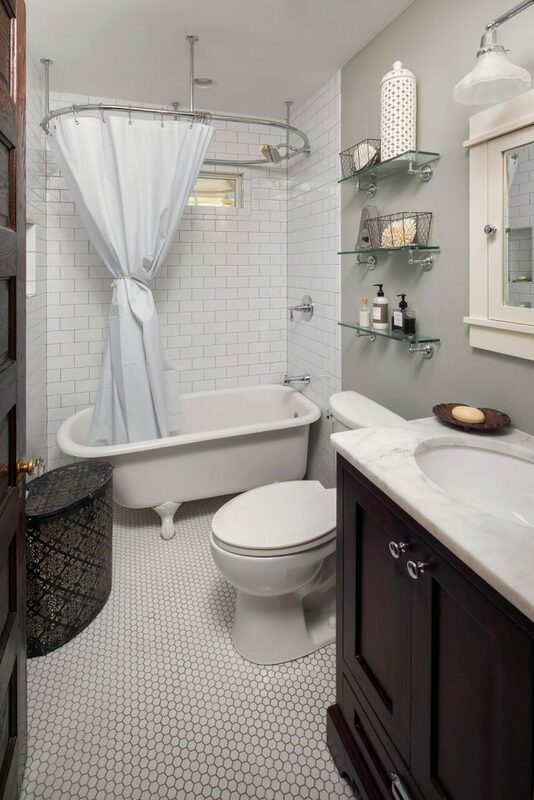 The second phase of the project called for the existing master bathroom guest bathroom to be remodeled. 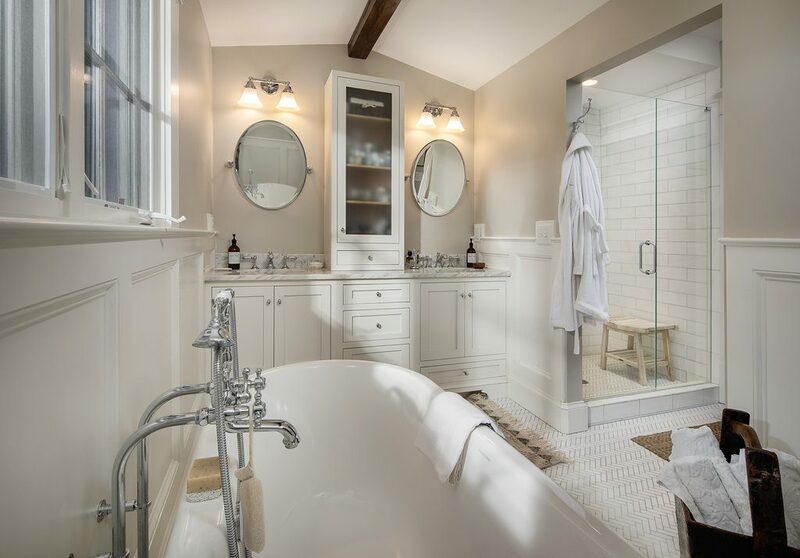 Paneling similar to paneling in the main rooms of the house was used in the master bath, as well as matching trim package. 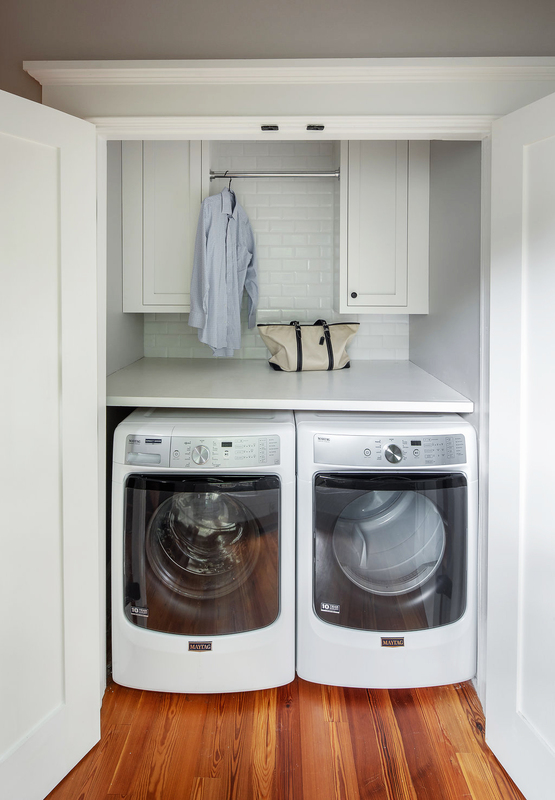 A new laundry room off back porch was added to complete the functionality of this renovation.